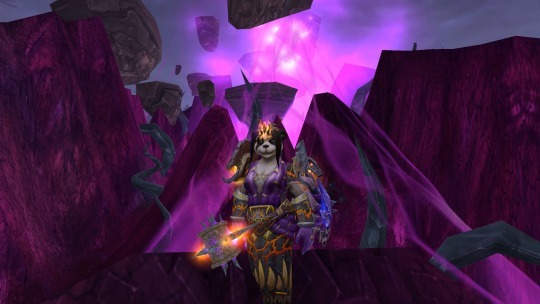 OpenRaid’s transmog contest has ended for another year and the winners have been announced. They’ve also done a storyboard showing all of the entries from this year. There are some absolutely brilliant entries! There’s a particularly macabre “my pet and me” entry, with a very well done “butcher” looking transmog (blood on the cleaver and everything) set in one of the kitchens in the game – meat carcasses on the bench and all. His pet pygmy cow is sitting on the bench, ready to be the next meal. It’s disturbing and hilarious and I love it! 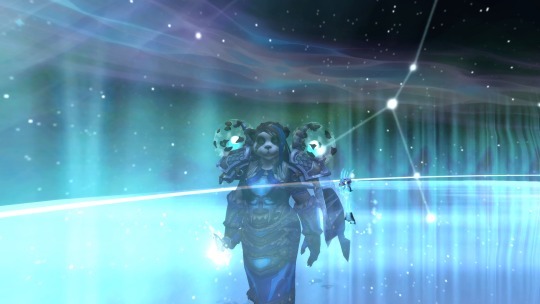 I had entered two transmogs in to the contest, and one of them (the celestial looking one) was a finalist in the My Pet and Me category, which was a nice surprise, though didn’t place in the list of winners. The person who did win the My Pet and Me theme had a really brilliant transmog, and was well deserved.